In response to the sulfur recovery industry’s desire to view sulfur flow content, we developed the Sulview Sightport. The Sulview Sightport can be built onto a SulTrap™ to maintain a constant, unobstructed view of the contents. As a result, operations personnel will be able to make effective and efficient adjustments without incurring safety hazards. Depending on your needs and specifications, we can customize your Sulview Sightport to be bolted on horizontally, either on the body of the SulTrap™ or flange, or vertically on the inlet valve. Optional interior lights can be added to increase visibility. The internal mechanism houses a steam coil for heat distribution, effectively preventing sulfur fogging on the glass. Glass windows can withstand up to 125psi and comes in sizes of 4” x 6” or 3” x 4”. 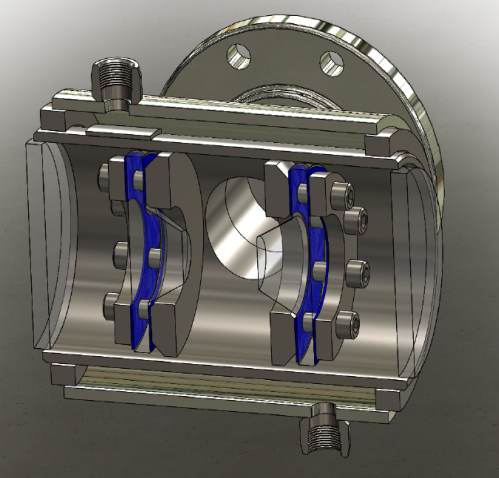 For content sampling, we can add a Lookbox to your existing sulfur recovery unit or flange. The Lookbox has a top access lid for operators to perform a physical inspection and examination of the flow content. For more options, we’ve developed a vapor-free sampling system in the outlet line that does not require a Lookbox. Using this system, small samples of the flow content are diverted to a convenient area for clients to sample.